IFAC's International Ethics Standards Board for Accountants (IESBA) maintains the international Code of Ethics for Professional Accountants to serve as a model for all codes of ethics developed and used by national accountancy organisations. The Code applies to all professional accountants, whether they are in public practice, industry, commerce, the public sector or education. The IESBA also develops interpretations of the Code of Ethics for Professional Accountants to address questions that have broad implications. The International Ethics Standards Board for Accountants (IESBA) has released a rewritten Code of Ethics for professional accountants that is easier to navigate, use and enforce. The International Federation of Accountants (IFAC) has issued issued a 'Call for Nominations for the Independent Standard-Setting Boards in 2019' looking to fill 22 vacancies including 6 vacancies on the International Public Sector Accounting Standards Board (IPSASB). The International Auditing and Assurance Standards Board (IAASB), the International Ethics Standards Board for Accountants (IESBA), and the International Accounting Education Standards Board (IAESB) have jointly published 'Toward Enhanced Professional Skepticism'. The International Federation of Accountants (IFAC) has issued issued a 'Call for Nominations for the Independent Standard-Setting Boards in 2018' looking to fill 26 vacancies including 5 vacancies on the International Public Sector Accounting Standards Board (IPSASB). The International Federation of Accountants (IFAC) has announced the availability of the 2015 editions of the handbooks from the International Auditing and Assurance Standards Board (IAASB), International Accounting Education Standards Board (IAESB), International Ethics Standards Board for Accountants (IESBA), and International Public Sector Accounting Standards Board (IPSASB). The Public Interest Oversight Board (PIOB), which oversees the auditing and assurance, ethics, and education standard-setting activities of the International Federation of Accountants (IFAC), has published 'Standard Setting in the Public Interest: A Description of the Model'. The International Federation of Accountants (IFAC) has updated and rebuilt its translations database of publications issued by IFAC and its independent standard-setting boards (IAASB, IAESB, IESBA, IPSASB). The International Federation of Accountants (IFAC) has announced the availability of the 2015 edition of the handbook from the International Ethics Standards Board for Accountants (IESBA). The International Ethics Standards Board for Accountants (IESBA) has issued an exposure draft of proposed changes to the 'Code of Ethics for Professional Accountants' (the Code). The proposals focus on the requirements of professional accountants in business involved in the presentation of financial and non-financial information, and also provide guidance on dealing with pressure from superiors and other to engage in unethical or illegal acts. The International Ethics Standards Board for Accountants (IESBA) has released a consultation paper outlining proposed changes to the Code of Ethics for Professional Accountants. Focus of the proposed changes is an improved usability. The International Federation of Accountants (IFAC) has announced the availability of the 2014 editions of the handbooks from the International Auditing and Assurance Standards Board (IAASB), International Accounting Education Standards Board (IAESB), International Ethics Standards Board for Accountants (IESBA), and International Public Sector Accounting Standards Board (IPSASB). The International Ethics Standards Board for Accountants (IESBA) has released an exposure draft of proposed changes to the Code of Ethics for Professional Accountants (the Code). The changes are designed to strengthen auditor independence through addressing threats created by the long association of audit firm personnel with an audit client. The International Ethics Standards Board for Accountants (IESBA) has published proposals to enhance the independence provisions in the 'Code of Ethics for Professional Accountants' (the Code). The proposals seek to provide better guidance and clarification around the independence of auditors in relation to the provision of non-audit services. The International Federation of Accountants (IFAC) has issued a call for nominations to fill a total of 22 vacancies on its various standard-setting boards which will arise in 2015. The International Ethics Standards Board for Accountants (IESBA) has released a consultation paper on its strategy and work plan for the 2014-2018 period. The consultation paper shows the IESBA's plans in developing the 'Code of Ethics for Professional Accountants' (Code) to ensure it remains relevant and responds to global developments. The thirtieth session of the United Nations Conference on Trade and Development (UNCTAD) Intergovernmental Working Group of Experts on International Standards of Accounting and Reporting (ISAR) has held in Geneva on 6-8 November 2013. The meeting focused on the role sound corporate reporting infrastructure plays in promoting investment, financial stability and development. The main agenda items were country feedback on the 'Accounting Development Tool' being developed by ISAR, human resources development challenges in achieving high quality corporate reporting, and a review of good practices in sustainability reporting. The International Ethics Standards Board for Accountants (IESBA) has amended its 'Code of Ethics for Professional Accountants' (Code) to change to the definition of “those charged with governance” to more closely align it with the definition used in International Standards on Auditing (ISAs). The International Ethics Standards Board for Accountants (IESBA) has amended its 'Code of Ethics for Professional Accountants' (Code) to address conflicts of interest, breaches of a requirement of the Code, and amend the definition of the term “engagement team”. The International Auditing and Assurance Standards Board (IAASB) has issued new requirements and guidance that address the auditor’s responsibilities if using internal auditors to provide 'direct assistance' under the direction, supervision, and review of the external auditor for purposes of the audit. The International Federation of Accountants (IFAC) has published its Sixth Annual Global Leadership Survey. IFAC received 113 responses to its questions regarding respondents’ opinions about perceptions of the profession and the most significant issues facing global accountancy in 2013. Over one third of the responses came from Europe. The Nomination Committee of the International Federation of Accountants (IFAC) has issued a formal call for nominations to fill available positions on IFAC's various boards and committees. New proposals from the International Ethics Standards Board for Accountants (IESBA) would introduce new requirements for professional accountants on responding to suspected illegal acts by a client or employer. 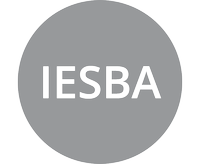 The International Ethics Standards Board for Accountants (IESBA) has released an exposure draft which proposes to change to the definition of “those charged with governance” in the IESBA 'Code of Ethics for Professional Accountants' (the Code) to align it with International Standards on Auditing (ISAs). The International Federation of Accountants (IFAC) has announced the availability of the 2012 editions of the handbooks from the International Auditing and Assurance Standards Board (IAASB), International Ethics Standards Board for Accountants (IESBA), and International Public Sector Accounting Standards Board (IPSASB).